The CKD Galbraith Inverness office has just launched the sale of a luxury, six star self-catering cottage with owners' accommodation on the Isle of Skye. Achachork is a scattered crofting township lying in the hills above Portree, the main town on Skye. 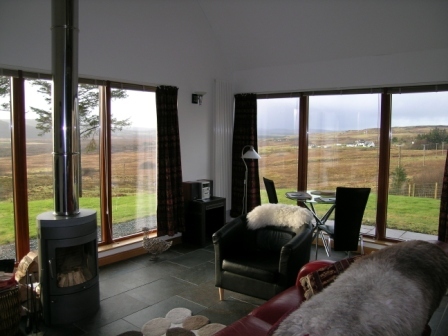 7 Achachork was bought by the current owners in 2000 and after completely refurbishing the house, work began to create a unique self-catering holiday cottage which would reflect the history, romance and landscape of the island. 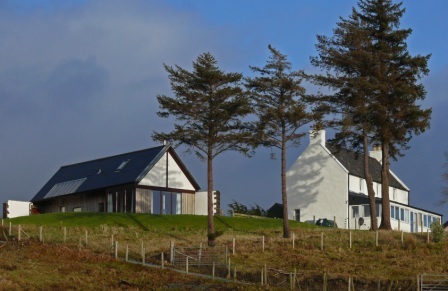 The cottage, known as The Bothy at Number 7, was designed by innovative and award-winning Skye based architects, Rural Design. Using locally sourced timber, stone and slate, the Bothy was designed to incorporate the best of Scottish vernacular style with an exceptionally high standard of comfort and facilities. Every detail has been addressed in the creation of an outstanding holiday destination with the open plan sitting room and kitchen with its double height ceiling and far reaching views; the sumptuous bedroom and bathroom; the upper floor with its sauna, gym equipment and business facilities; and top of the range appliances throughout. 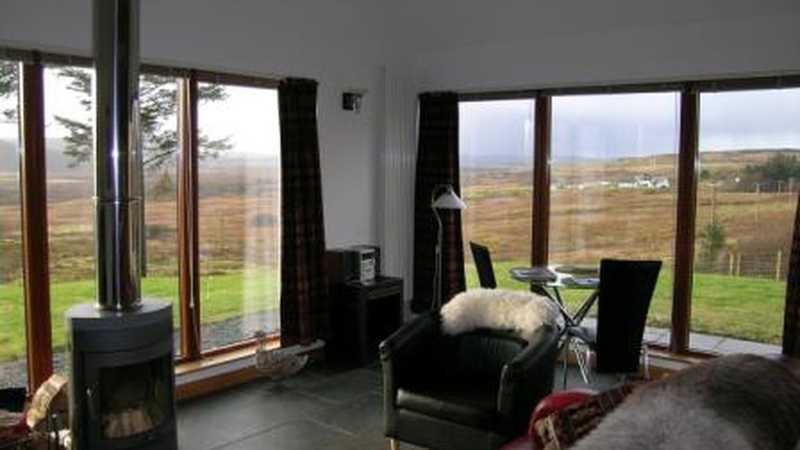 The Bothy at Number 7 opened for business in 2007 and since then has become established as a successful holiday let at the very top end of this market. With this established business, 7 Achachork presents itself as an extremely attractive and versatile property with the option to create a further self-catering let from the main house and run the business remotely, or manage the enterprise on site. Whilst the residential property market continues to face extremely challenging times, Skye remains a popular choice for those looking for a change of lifestyle, and the opportunity to own a property incorporating a well-established, successful business will prove attractive to many. Offers over 420,000 are being invited for 7 Achachork and The Bothy at Number 7. Find out more about this property.